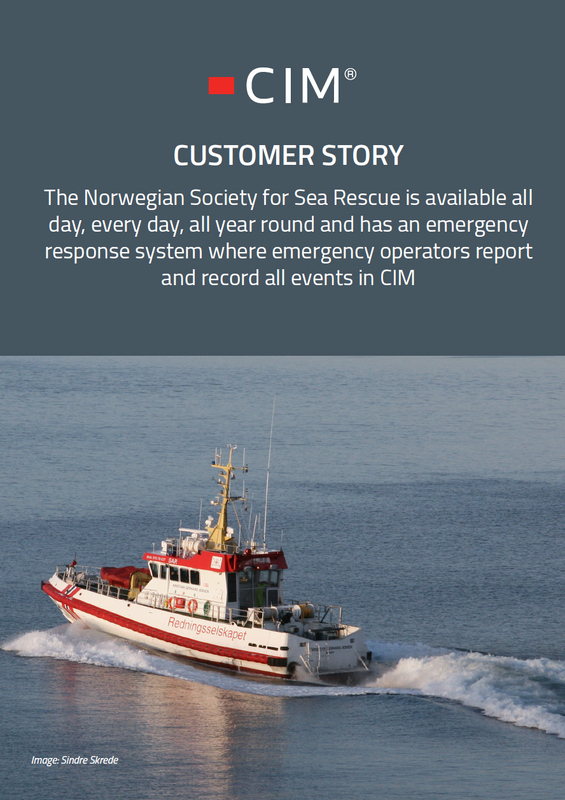 The Norwegian Society for Sea Rescue is available all day, every day, all year round and has an emergency response system where emergency operators report and record all events in CIM. In 2015, to simplify and coordinate the logging for standby personnel, CIM was selected as their key tool for logging and reporting. In order to obtain the information they needed during the Frontex operation they have set up a predefined reporting template. The vessel crew fill out the report and send it home via mobile broadband, every day.